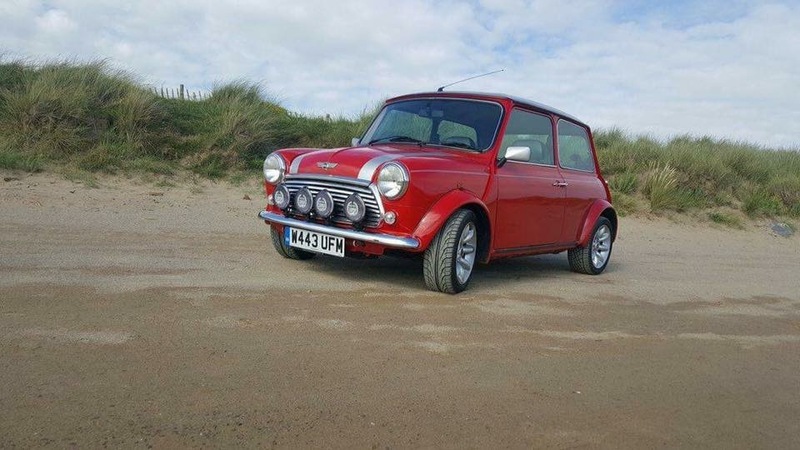 The red 2000 rover mini cooper sport belongs to Steven. It was first bought it in 2011. 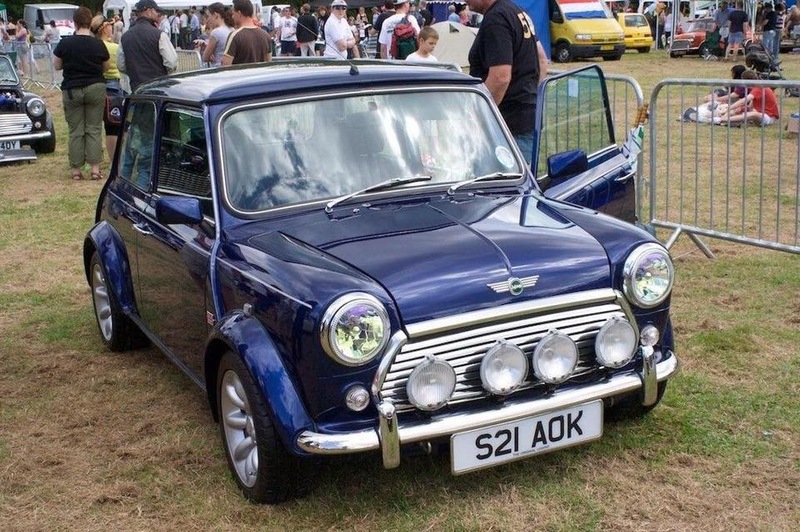 Steven had it for a year and was my first and only mini – his daily driver. For various reasons he traded it in, in 2012. 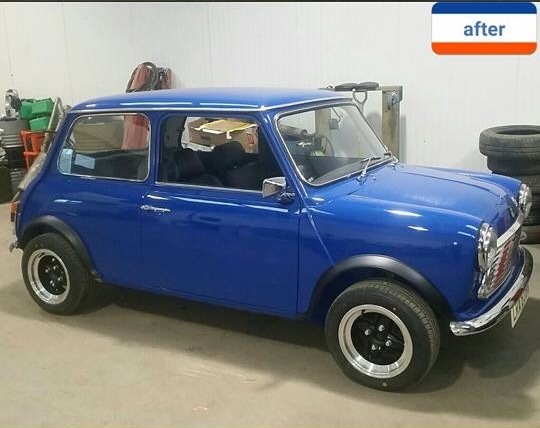 Steven was looking for another mini in 2015 and found it on eBay in Manchester! 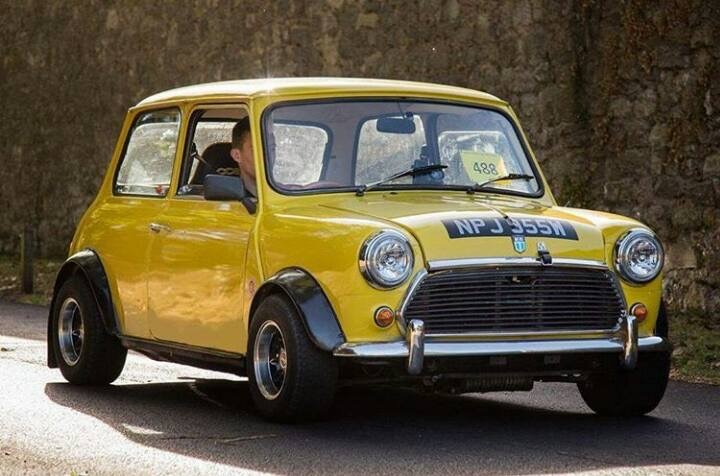 So he had to have his mini back of course. 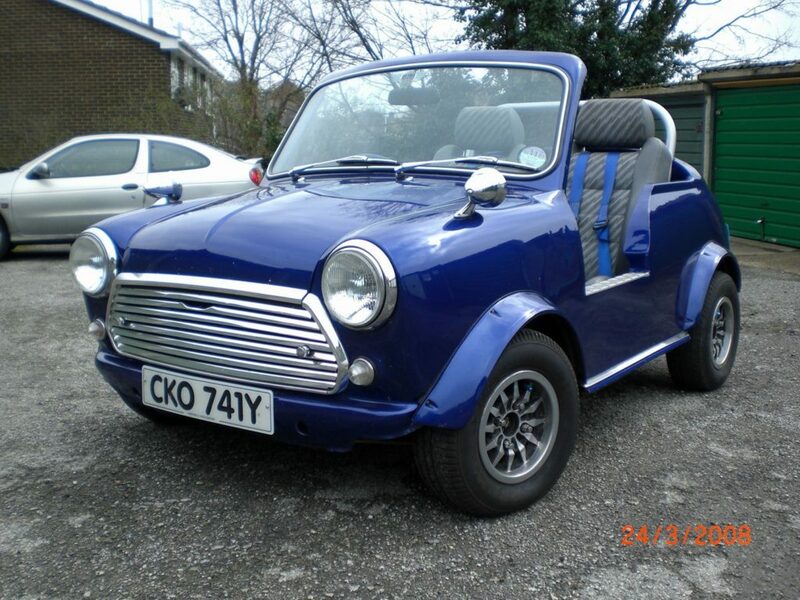 It has got an aftermarket sun roof fitted which Steven assumes was fitted by the original owner. 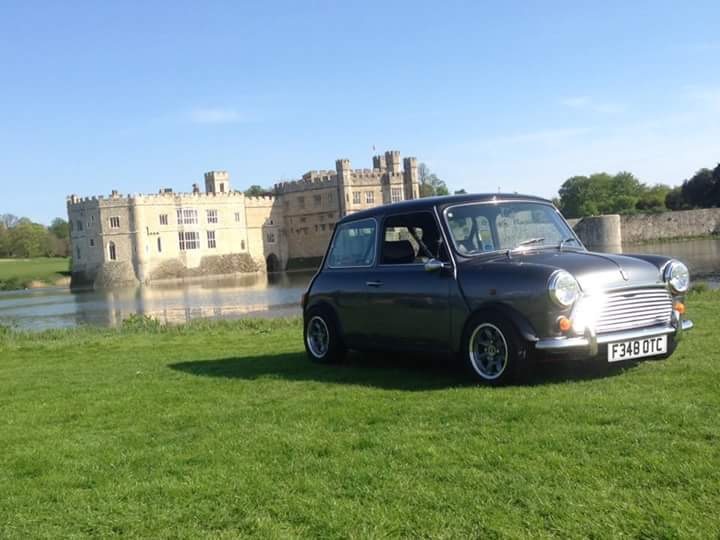 It has the original Rover Mini cd player. It has been used as his daily car for years, only let him down once, and that was his own fault as he made the wire too short for the points, so when Frank put his foot down it pulled the wire out!! It has changed slightly since first owning it but sadly it is getting rustier now so will probably be coming off the road this year. 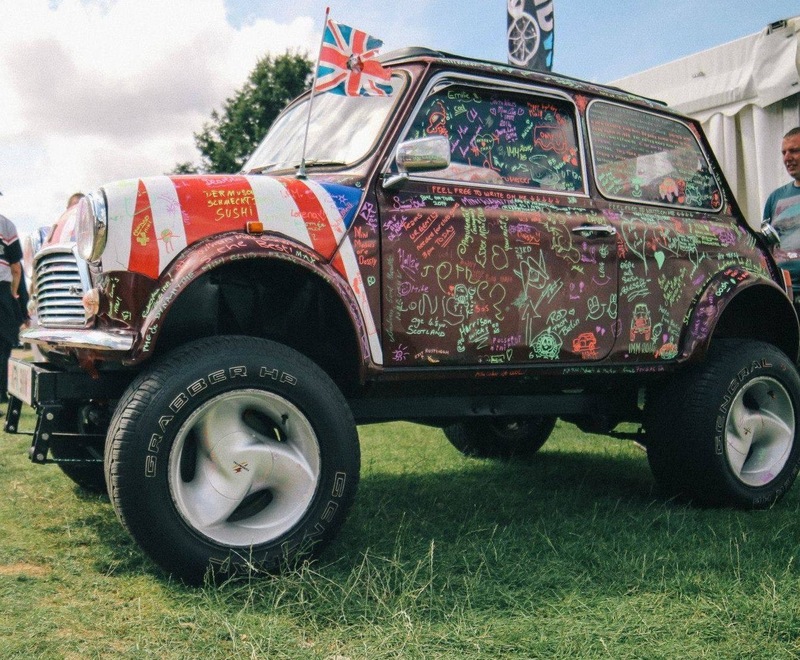 This is Matt’s 1981 Mini City, He’s just finished welding loads of new panels onto it and until it gets painted it’s looking very multicoloured. This is before the work when the paint looked okay! 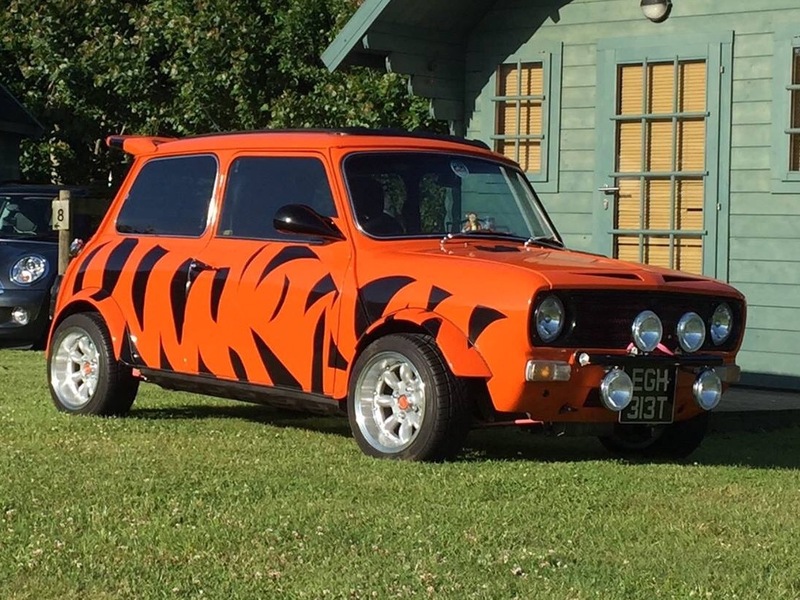 Tiggermini, Claire likes Tigger and Mike wanted another project do a deal was done. This one started out as a standard 998 auto but over 9 yrs including 3 redundancies and a house move Mike turned it into this. Originally intended for longer runs with a bit more space & weather protection than the shorty – they now have two kids to fill it up and who love going out in it. Everything is special which led to some head scratching and swearing at times but Mike think it’s there now! Mike’s Minimini, was a rusty crashed City E 998, 4 years of tinkering and learning to weld along the way ended up as something we’ve had a lot of fun with. Now with an MG1275, custom interior and many other bits. 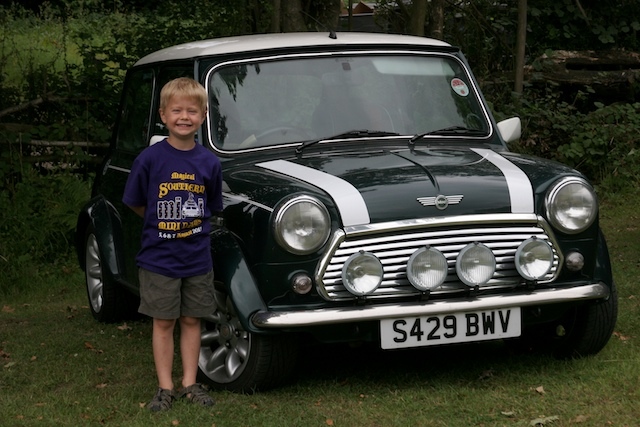 Jason’s Mini Cooper was registered as a John Cooper Garages Rental Mini, and came to Jason with around 200 miles on the clock as a courtesy car. He actually purchased it some weeks later. It is still looking good after a new front end and floor. Sonic! 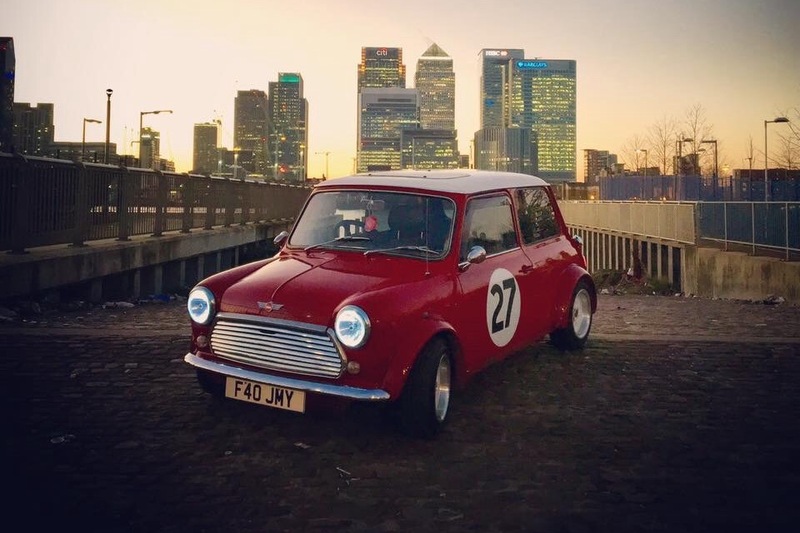 was at one stage a white mini city E. It’s special to Rhys because it’s his first car and he’s kept it ever since. 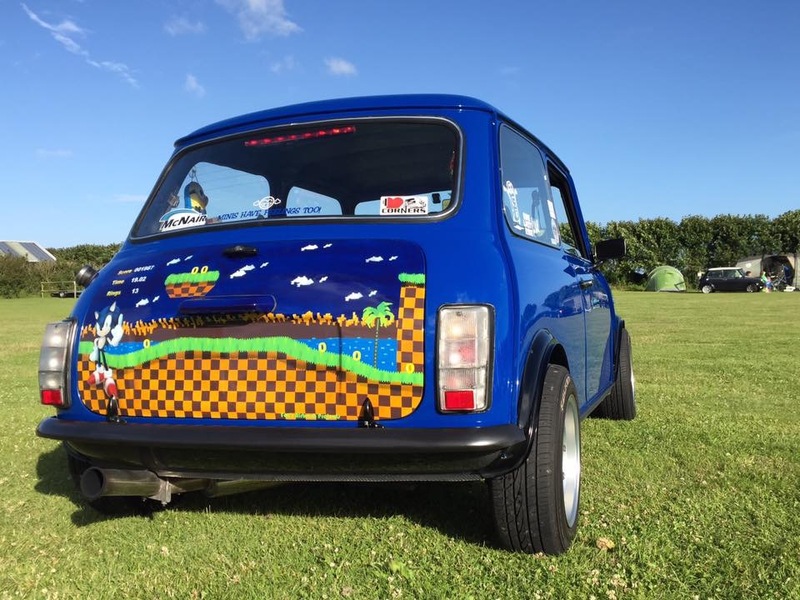 It’s unusual because you won’t see another mini with Sonic the Hedgehog airbrushed on the boot lid. 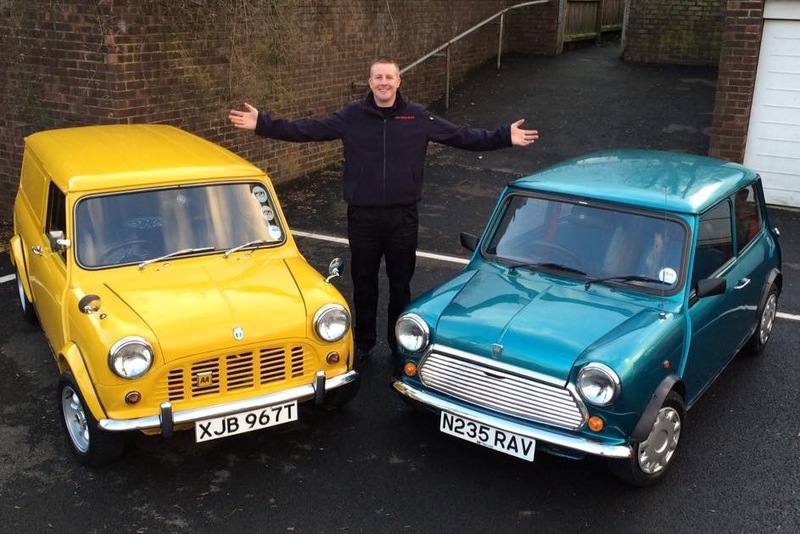 Daniel restored this 80’s Mini auto to his own taste with a bit of help. 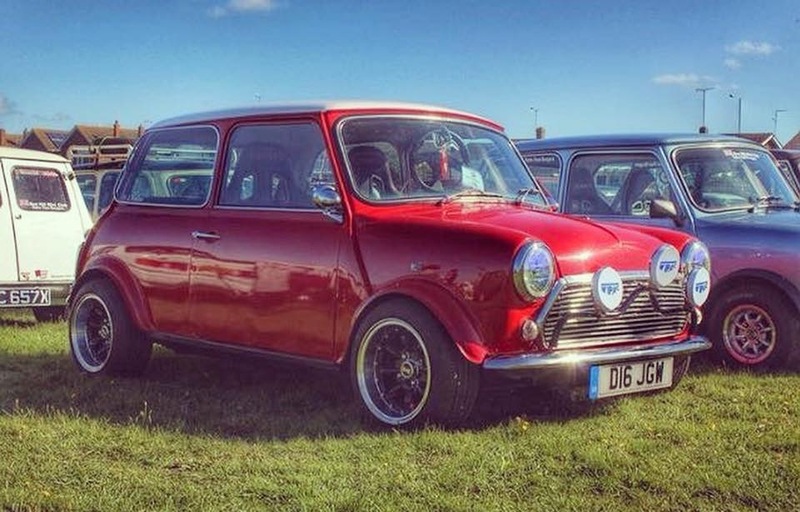 This is Jo’s 1987 Mini 1000 , (Cooper look a like) .. 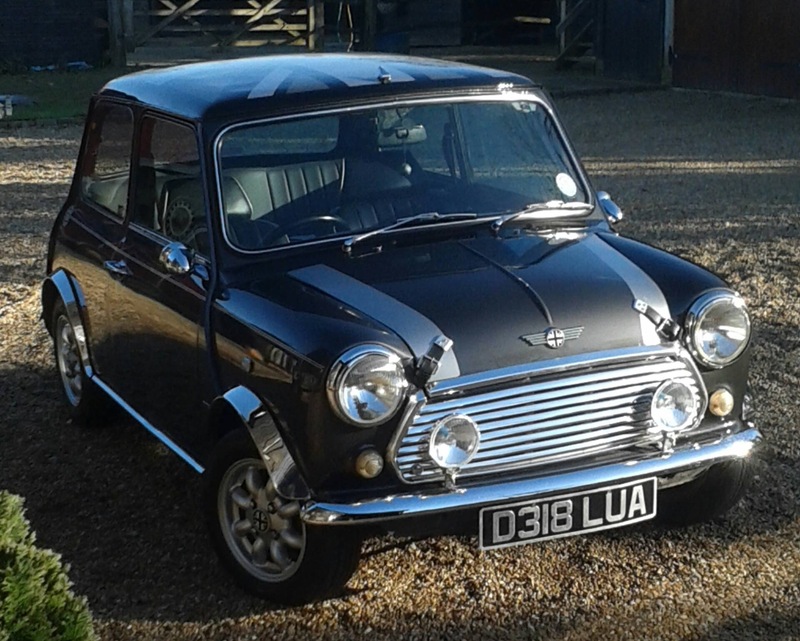 It is unusual as you don’t see many in this graphite grey colour, which really shines!.. It is very special to her as it was a Christmas present from her husband in 2013 .. It arrived on Christmas Eve with a white ribbon tied around it! John’s ‘Shortie’. 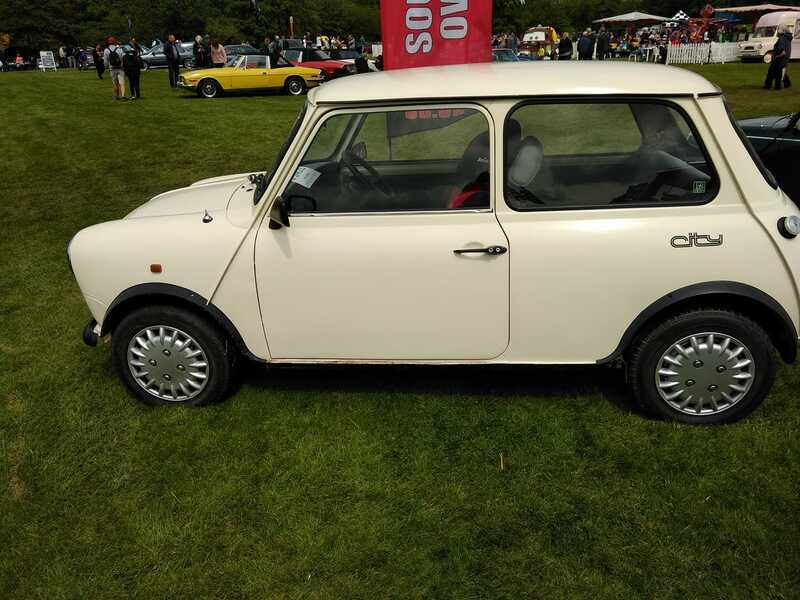 Originally an Austin Mini City saloon with the cabriolet conversion and shortening carried out in 1995. The engine remains a 998cc with an unleaded head, electronic ignition and much needed disc brakes on the front. 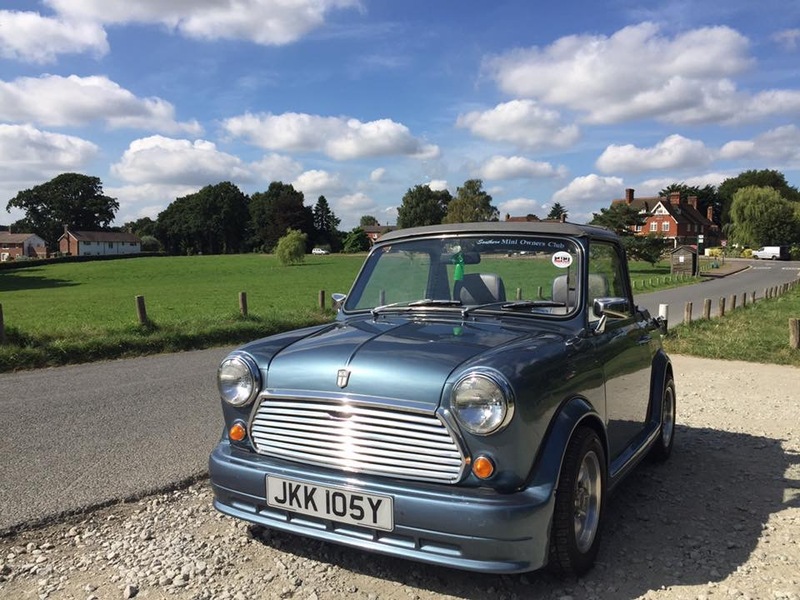 A great little Mini that receives a lot of attention and has given me a huge amount of enjoyment over the years, particularly on some of the long European road trips to IMMs. 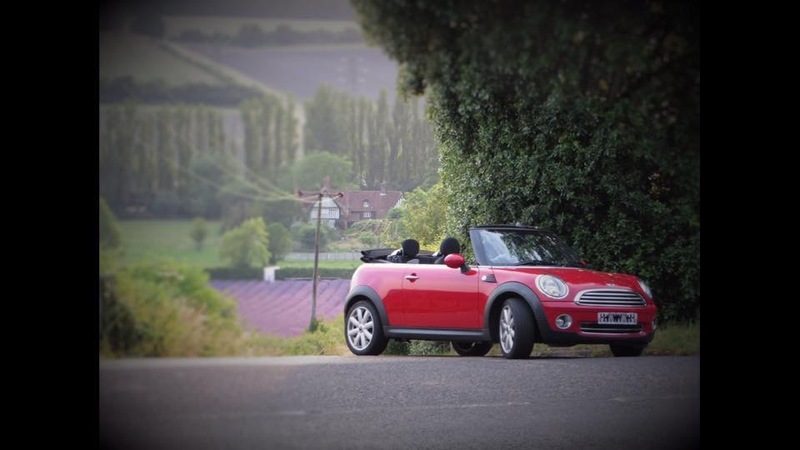 This is Jayne’s new Mini Cabriolet. It is special because it was a 50th birthday present from her husband. 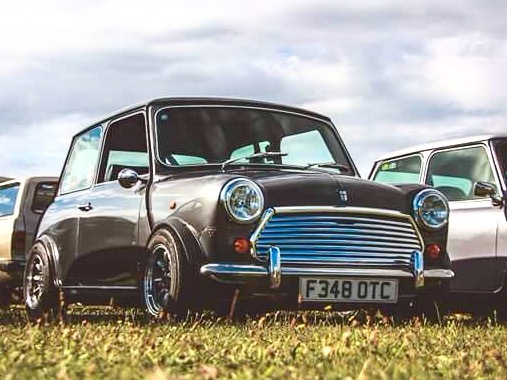 They both had convertible minis in the 80s and were members of SMOC back then until they became home owners and parents. Now they are back with us!